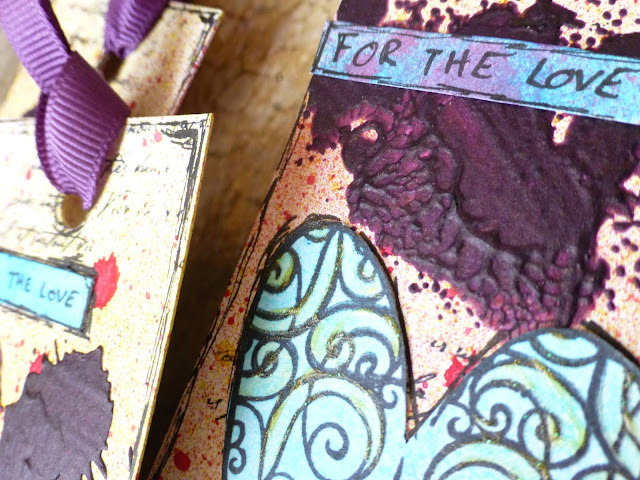 I'm up on the Art Anthology blog today with some mixed media bookmarks created with their paints, inks and stencil ! You will find textures, dimensions and scribbling on these ! Beside the AA products, I also used an heart stamp by Prima Marketing, text stamp by La Comapgnie des elfes, a black pen by Faber-Castell, and a blank bookmark by Ken Oliver. For more pictures, details on products used and complete tutorial video, please go the the Art Anthology blog.